When you read fishing magazine articles or talk to keen fly anglers, using four flies is a common tactic, especially on big reservoirs. 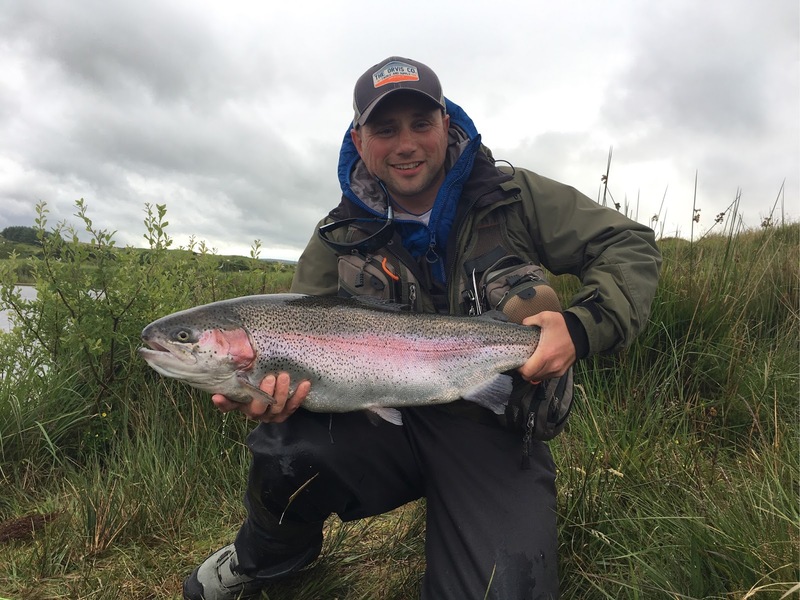 And given that Rainbow Trout usually feed at a certain depth, a four fly set-up can have many advantages. It can be intimidating for novices; however, it is worth considering because it could increase your catch rate significantly. Rainbow Trout vary the depth that they feed, depending on the conditions and the amount of feed in the water. So one of the big advantages of using four flies is that it can offer a higher chance of finding that depth. It will also allow buoyant flies, such as boobies, to hold the (hopefully) fish catching nymphs at the Rainbow’s eye level for longer during the retrieve. When fishing Buzzers and nymphs on a floating fly line or midge-tip, a well-varnished Buzzer tied on a heavy hook can pull the fly leader into quite a steep vertical "hang." So If you suspect fish are feeding really deep, you will have to extend the leader length from top dropper to fly line. 11ft from point fly to top dropper is the longest you can manage when trying to net a fish hooked on the point fly. Any longer and your top dropper will be pulled into the tip ring. Fish taking the point fly or bottom dropper would confirm that they are feeding deep down. However, if Trout are taking the flies on the top two droppers, that would suggest the fish are higher in the water, and you could shorten the top-dropper-to-fly-line distance to something more manageable. Other than fishing a four fly team at depth, it is also a great tactic for fish feeding near the surface. In this situation, it is hard to beat the “washing line” and here, again, four flies, fished on a floater or midge-tip line, offer a greater range of options. Buoyant flies on the tail and top dropper will hold the middle two nymphs close to the surface, and when they do sink a bit, a pull on the line will lift them back – in much the same way as an ascending natural nymph. A buoyant fly on the tail position only will allow the nymphs to sink deeper (if fished static – or very slowly) and then be drawn back nearer the surface again. Any steady retrieve will hold them at a constant depth. The washing line will work with all densities of lines, from intermediate fly lines to very fast sinking fly lines, and is a great way to hold flies at depth or increase the sweep of the flies during the retrieve by having a buoyant fly on the tail only. Fishing with four flies can seem intimidating at first, but you have to give it a try until you get the hang of it. You will get to cover more water and depending on the density of fly line you are using, your flies will be in the zone for longer. Just make sure your dropper knots are tied well and widen your casting loop to avoid tangles. Also use a good quality tippet material. Fluorocarbon is very popular because it is nearly invisible underwater. It is also very abrasion resistant and much more sensitive to takes than mono tippet. If you are planning on trying out the four fly method, we have everything you need at fishingmegastore to get you started including flies by the dozen, fly reels and fly rods. 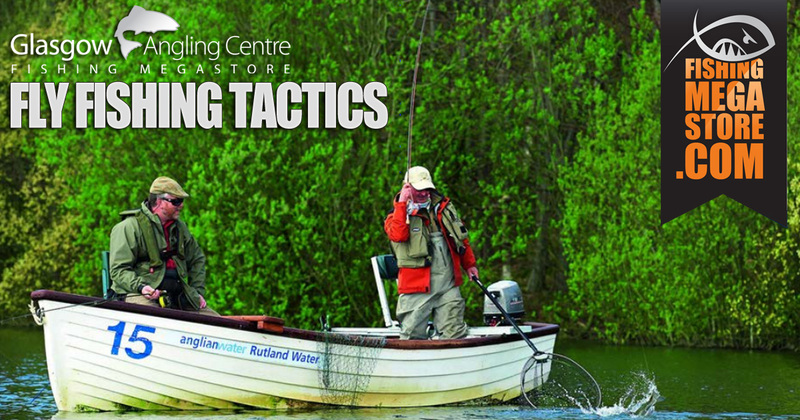 Or, if you want further advice on what tackle you need, just give us a call on 0141 212 8880 and we will be happy to help.